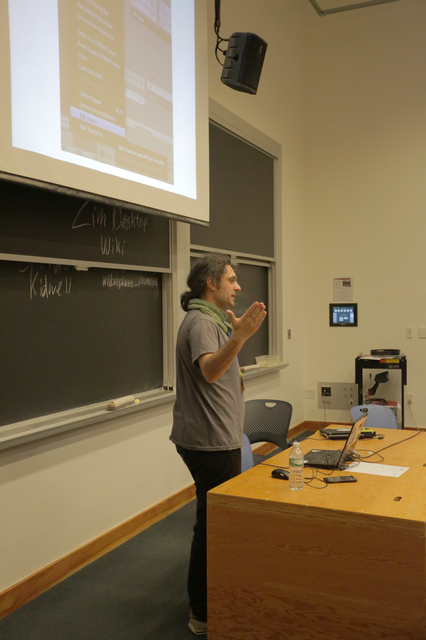 This year at Libreplanet I gave a small talk about Python in Blender. My primary goal behind was to talk about the ways that Blender, by exposing its Python API directly in the interface, there for users to discover, gives a new meaning to ‘free software’ not just in licensing or community (though these things are important) but also in the design of the program itself. How many programs do you know that have an ‘edit source’ button for each interface element? 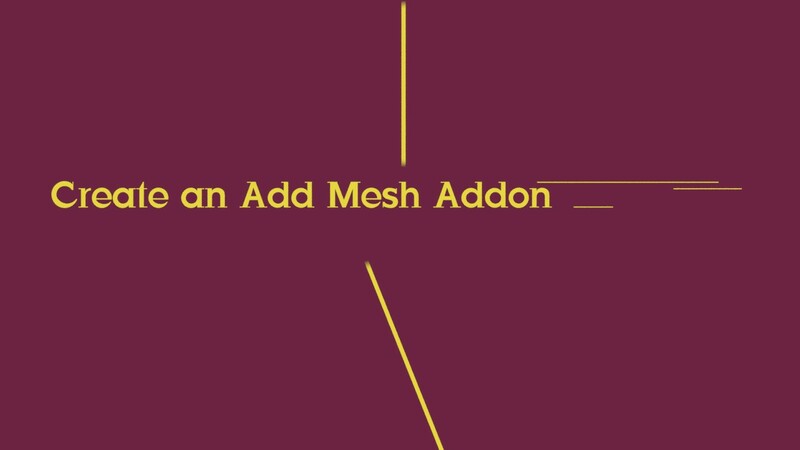 One of the elements of the talk was a tutorial on how to use Blender’s Python API, and add a new primitive type into the Add Mesh menu. This is made very easy thanks to the template scripts included in Blender, that allow you to create your own with just a few edits, and by the fact that you can grab data from Blender, and pipe it into your script directly. wow, i was wondering how to do that!, that’s cool!, if i wanted to make that same thing but to add an object with UV’s what would be different about it? there’s a operator_mesh_uv.py that seems to use bmesh for it. In addition, you’d need to create new UV layers for your new mesh, before you can copy the UVs over – there are some operators, or you could possibly do this with bmesh. Hey thanks Bassam, I’m going through your CG Cookie tuts and found this one as well. I really struggle to get scripting straight in my head, (I think that I think in to linear a fashion) so your delivery and subject structure really help. This is all to say how much I appreciate your willingness to give to the community (but mostly me).